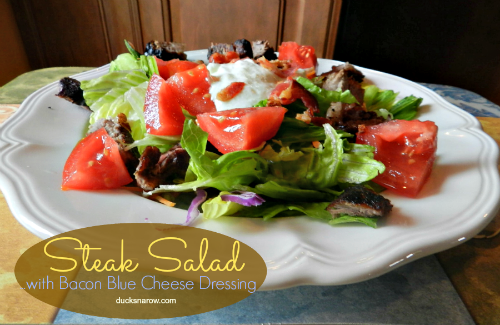 Creamy blue cheese dressing has always been my go-to flavor with a nice crispy green tossed salad. That is, until I made it with bacon grease. If you love bacon, wait till you taste this! Drain the fat into a little bowl. Mix blue cheese dressing, sour cream, mayo in a bowl. Measure 2 T bacon fat and add to the mixture. Blend and spoon generously onto your salad. *I use the oven fry method for cooking my bacon. Just set a timer so you don’t forget it is in the oven. 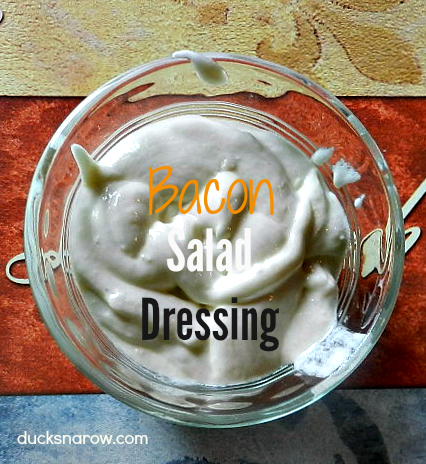 ** This is the yummy salad dressing that I use on my Low Carb Steak Salad.